Download "AIG no longer issues cheques. 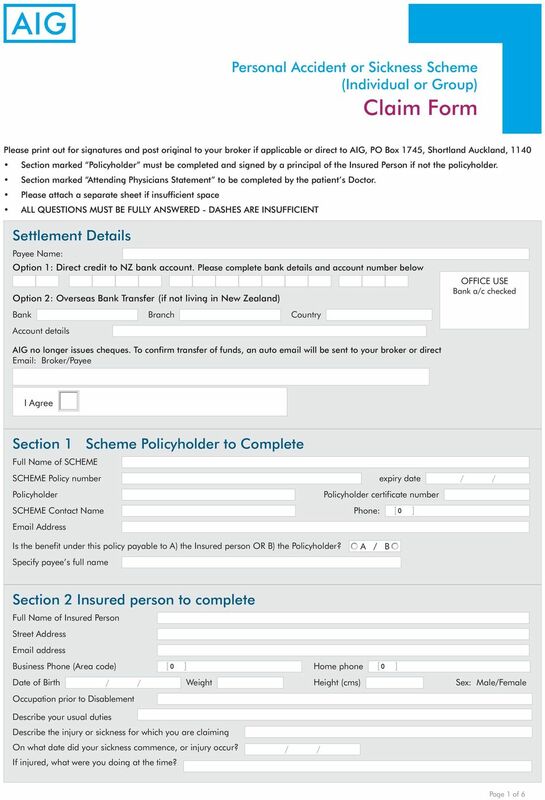 To confirm transfer of funds, an auto email will be sent to your broker or direct Email: Broker/Payee"
Please print out for signatures and post original to your broker if applicable or to AIG Insurance New Zealand Limited. This form must be accompanied by an Attending Physicians Statement, which can be obtained by telephoning any of our offices listed. "#$ % & &% $ & 3 0456 $&& 77-1014 #( 81 9:55 5;55 '3( 81 9:55 ;;10 ' ) *#! $# ##+$!, #( "#$ % & $%&!#'#( $ ) $! "( * " # + >*& % $ '$2 #!!"! ##? 1 Please ensure that the club Secretary/Treasurer completes the Official Report section of the claim form. Sports Injury CLAIM FORM. Call ATC Claims for assistance on 1800 994 694. 1. You complete Section A and B. 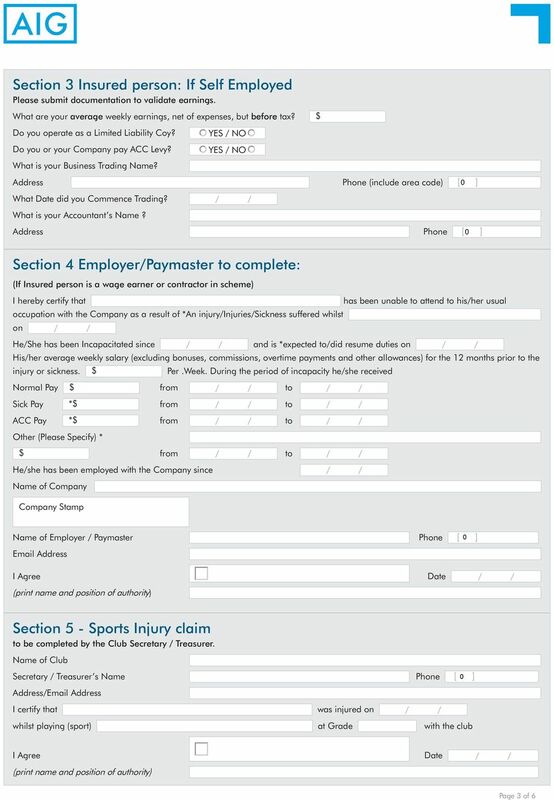 Sports Injury CLAIM FORM. Call ATC for assistance on 1800 994 694. 1. 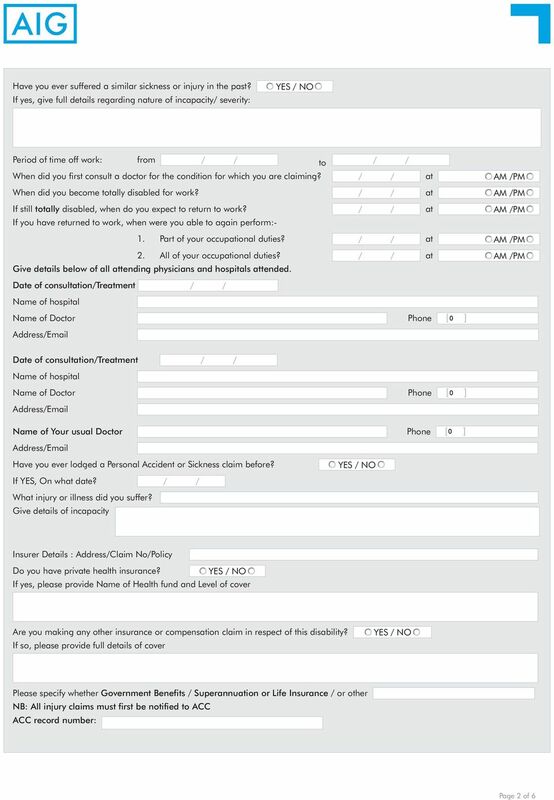 You complete Section A and B.
QBE INSURANCE (AUSTRALIA) LIMITED ABN 78 003 191 035 Accident/Illness Claim The issue of this form does not constitute an admission of liability on the part of the insurer. Please complete all sections. Staff/Student ID No. The provision of this form by AIG is not an admission of liability or acceptance by AIG of your claim. Please keep a photocopy of all documentation you send to us for your own records. CLAIM FORM: AMATEUR SPORTS PERSONAL ACCIDENT INSURANCE THE ISSUE OF THIS FORM IS NOT AN ADMISSION OF LIABILITY PLEASE ENSURE You fully complete every question before your doctor completes his statement. 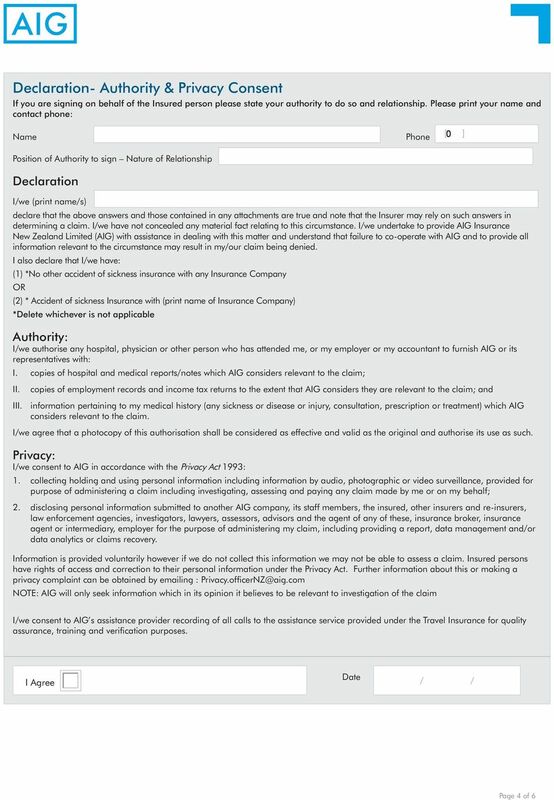 PERSONAL INJURY INSURANCE CLAIM FORM FOR Please ensure all sections are fully completed prior to submitting your claim. Failure to complete all sections of this form may delay settlement of your claim. 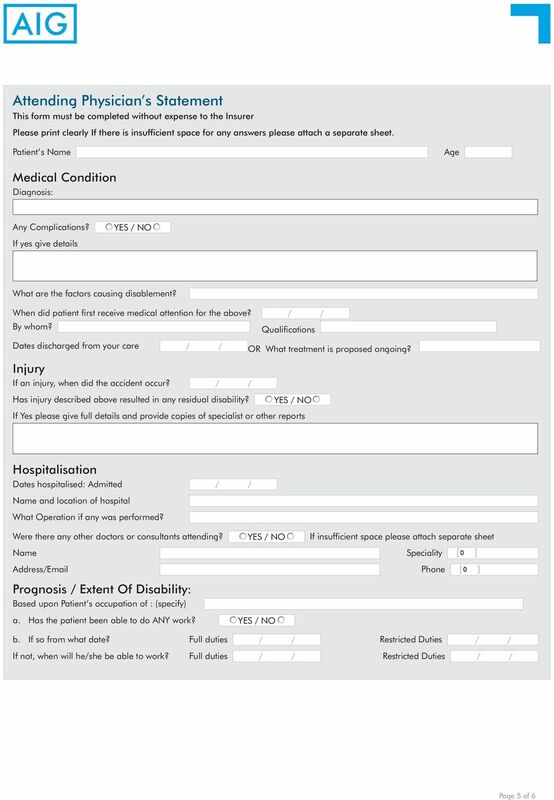 Journey Injury CLAIM FORM. Call ATC Claims for assistance on 1800 994 694. 1. You complete Section A. 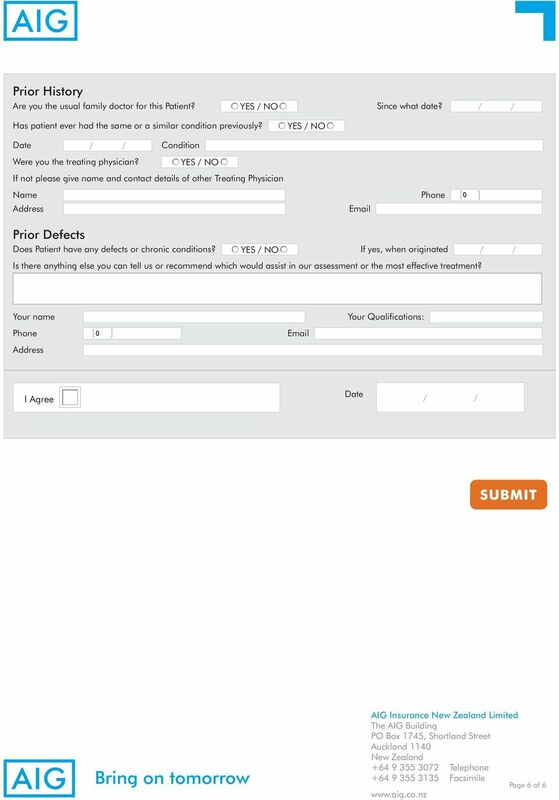 INSURANCE SOLUTIONS CLAIM FORM Contractors Injury and Sickness EXTF059 Call ATC Claims for assistance on 1800 994 694 1. You complete Section A, including either the Injury statement OR the Sickness statement. PERSONAL ACCIDENT INCOME BENEFIT CLAIM FORM Part 1: To be completed by the Life Insured and returned immediately Please answer all questions fully. Failure to provide full information may delay claim consideration.